We often misplace our remotes and have to look for it everywhere. So wouldn’t it be an excellent idea to have your mobile phones function as the remote to the electronic devices that you use? The best thing is you will not be misplacing your cell phones anywhere. Even if you do, it is easier to find it. And that you don’t have to keep a different remote for every device. You can operate your TV, Air conditioner, Set top box and everything with the mobile phone. This can be done by installing an IR Universal Remote app on your phone. In this post, you will find ten apps for Android which will make you use the mobile phone as a universal remote. Anymote claims to support over 900,000 devices and new devices get added on a regular basis. The app costs $6.99 on Google Play Store. You can use this app for AC, DSLR camera, heating devices and a lot of other home equipment apart from using it as a TV remote. It has a very compact layout with all the features that a regular remote would deliver. You can change the controls with a tap. If you have a Chromecast or Chromecast Audio device, then you can subscribe to streaming services of many channels. With the app, you can control the TV and the channels. Use the Cast button in the Cast-enabled apps and then you can watch the content on the phone on your TV. Google Cast is a free app which has a voice search feature with which you can search your favorite TV shows or other content faster. For users of Roku channel, this app is a great option to queue up video content from Roku channel. The app also works as a remote with features such as play, pause, rewind and the other essential remote functionalities and customization. More than 2000 channels can be added from the Roku Channel Store. You can also play the content on your Android phone such as the photos on Roku TV. The voice search feature is available on the Roku Remote app to enhance the chances of finding your favorite shows and movies. SURE Universal Remote is an IR remote controller app which has features similar to Anymote app. You can control many devices apart from the TV sets at home. It has WiFi control for smart devices and IR control for legacy devices. It has single click On/Off buttons with which you can control the devices at home with a master switch on your phone. You can also stream the media on your phone and watch it on the TV screen. Twinone is an app designed especially for controlling gadgets through IR blaster. The app has a user-friendly interface which can be operated by users who are not much familiar with multiple remote control buttons and operations. With the custom mode, you can put your favorite buttons on screen for multiple remote. Twinone is a free remote controller app. Unified Remote is an exclusive app to control your computer. You can use the Bluetooth or WiFi to operate. It is compatible with Mac and Linux platforms as well. It has automatic server detection to find out the devices in the network. This app is a great option to operate devices like HTPC setups, Raspberry Pi devices, and Arduino Yun. The full version contains Voice commands, IR actions, and many other attractive options. Yatse is the remote controller app for Kodi. You can use the app for controlling media player files and also download offline content to play. It has features to stream and send files to supported devices from your phone. With the Cloud Save feature, all the settings can be saved and used across devices. There are many custom commands and advanced voice control features to make your experience better. ASmart Remote IR app can be used to control your TV, DSLR camera, set-top box, DVD player, projector and plenty of other electronic devices. The app has many customization options such that you can control different rooms using different tabs. All the devices in a single room can be combined in on screen and then you can switch between rooms and make adjustments accordingly. Peel Smart is a TV remote controller plus a personalized TV guide which brings you the information regarding upcoming broadcasts and marks your favorite shows. The app is specifically designed to be used on Samsung Galaxy Tablets. It learns your preferences and makes suggestions on what show might interest you. It also works as a remote controller for other devices such as set-top box, DVD player, Apple TV, Blu-ray, Roku, audio system, and home appliances like air conditioners and heaters. 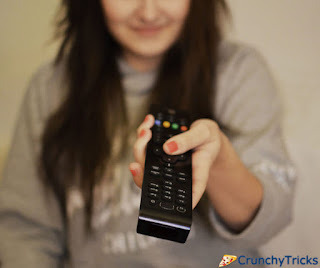 Android TV remote comes from Google and can be used to control Android TV. The voice search can be enabled using the Mic button, and you can use the app to play games on your Android cell or to manage its contents. The phone or tablet’s virtual keyboard can be used to input text. The app can be connected to the TV via Bluetooth. It works on all Android device and is free. Make sure that your phone has an IR blaster. Most of the apps will not function otherwise. If you have lost the remote for your TV or other devices and getting a spare one is a costly affair, then get an IR remote controller app. And the apps save plenty of your time, and it is very convenient as you can now control all the devices using a single controller. Many of the apps also allow content from your phone to be played on TV so that you can enjoy all the action of a larger screen with better audio experience. Now that you have reasons go to the Google Play Store and get one!